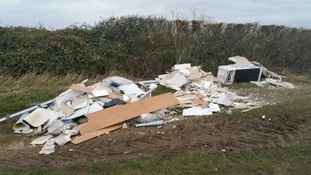 42-year-old John James of Blakes Field in Didcot was also ordered to pay costs totalling £1,351. 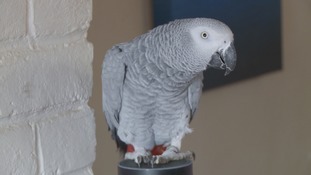 A parrot called Rocco has mastered his owner's smart speaker... a gadget called Alexa. Our next nominee is Courtney Hughes who distributes presents to those in need at Christmas. Residents are being warned to expect to hear 'popping sounds' as work continues to demolish part of the Didcot Power Station. Milton Park in Oxfordshire will be road testing the electric driverless 'pods' between Didcot Parkway station and the business park. The town of Didcot fell silent today to remember the four men killed in the power station collapse two years ago, on 23rd February 2016. Plans to bring 15 thousand new homes to Didcot are a step closer with news of a £6 million government grant. It will be used to improve the area's transport network and deliver the 'Northern Perimeter Road'. It's part of the new Didcot Garden Town which should be complete by 2031. It's hoped the route will lead to faster journeys and less congestion. A 35-year-old man from Didcot has been arrested on suspicion of causing a bomb hoax. Police were called to the Sainsbury's supermarket at the Orchard Centre just after 8am yesterday to reports a suspicious item had been found. Following an investigation, officers confirmed there was no danger to the public. The man has been released under investigation. Thames Valley Police have confirmed that two Hereford fans have been arrested and bailed following yesterday's disturbance at Didcot Town's match against Hereford. The Southern League fixture had to be abandoned two minutes from time following a pitch invasion and subsequent violence. “Two people were arrested in connection with this incident.